Built-in hand protector has a 7 carbon steel blade with coating to resist rust. The blade locks in the open or closed position and has a built-in hand protector. This will protect your knuckles when sawing and prevent accidental slippage during use. Aggressively cuts on each pull stroke. 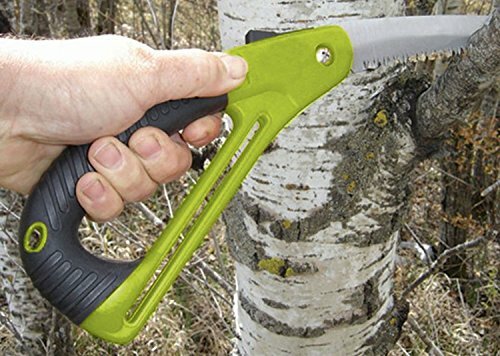 Perfect for cutting shooting lanes, clearing trails, turkey hunting, camping, or hiking. Built-in hand protector has a 7 carbon steel blade with coating to resist rust.